More chocolate pudding! 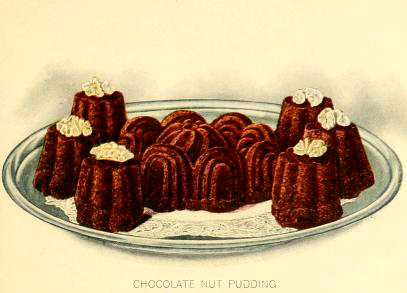 Here’s another vintage illustration of fancy chocolate pudding from the turn of the century. From Lowney’s cookbook (1908). Originally archived by the library of congress and archive.org.